As the façade on the ground floor has been positioned outwards, the entrance area opens up towards the square. 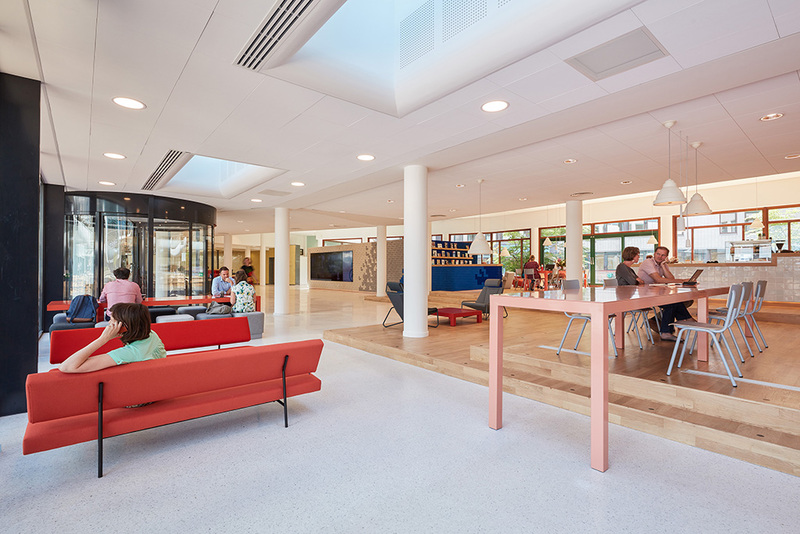 The entrance has become visible, light enters the public areas and the catering establishments run from the inside to the outside. 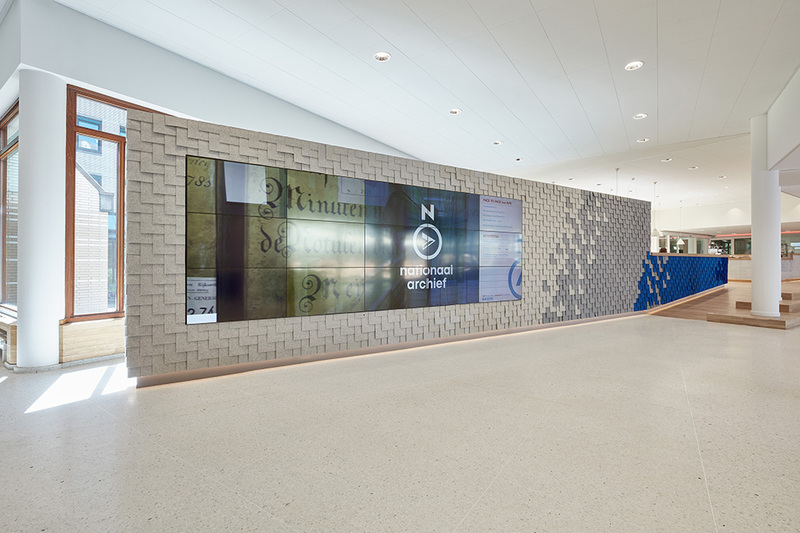 From the new entrance area, the visitor can visit the study rooms, the walk-about with small exhibitions about the National Archives and the exhibition space. 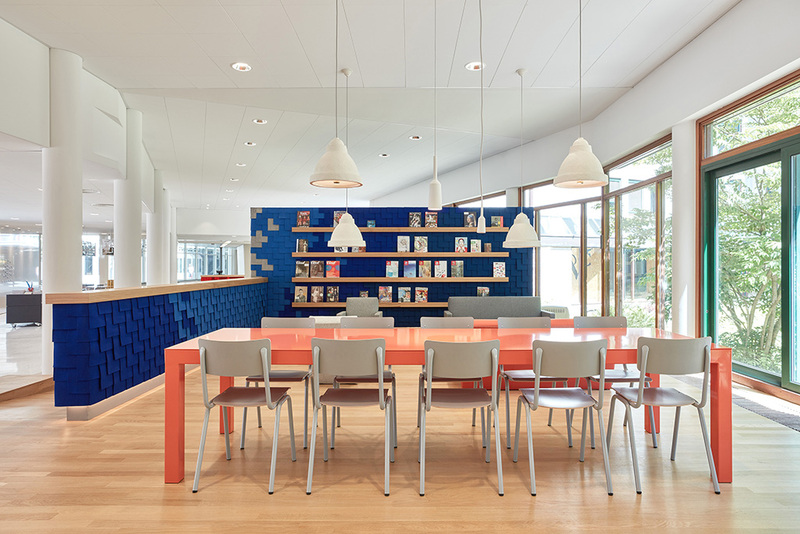 Van Eijk & Van der Lubbe designed these spaces in 2013. The entrance area of the National Archives is also the entrance for various residents of the building. 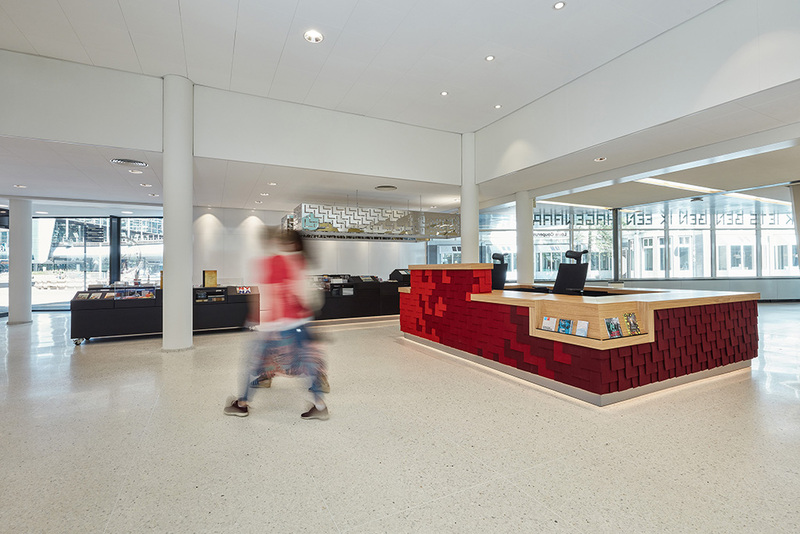 Also visitors to the Royal Library and the Council Culture enter the building in this space. Therefore the visitor first sees an introductory wall on which all residential authorities introduce themselves. Next to the desk, space has been created for a store. The store can be secured by light covers that can be lowered across the presentation furniture. 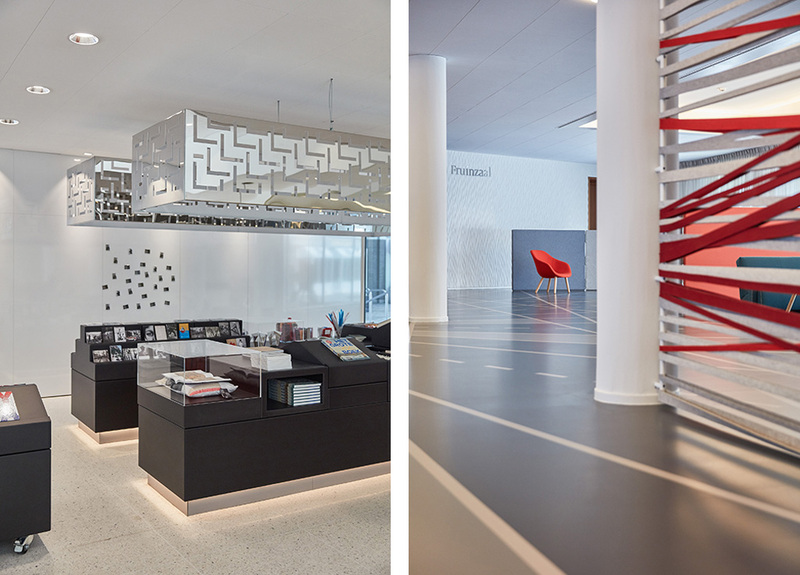 Within the entrance area catering has been integrated, tiled with white Makkummer tiles and showing designs by famous names from our design history. 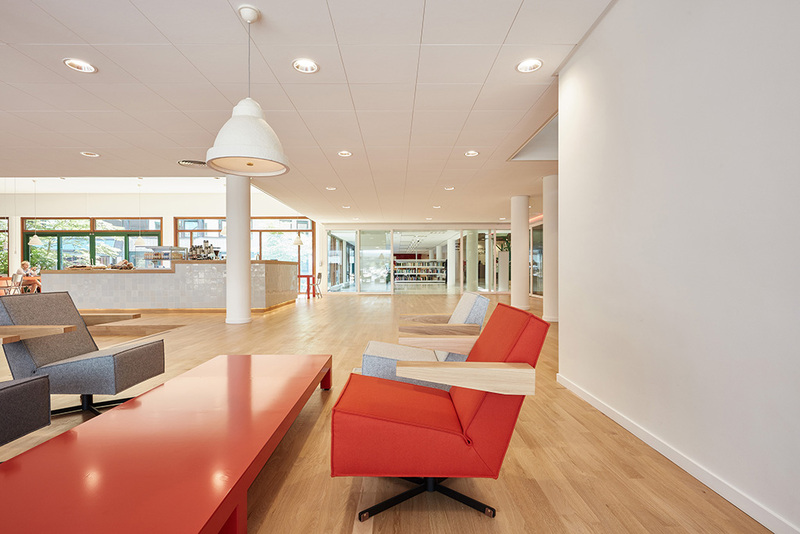 Furniture by Gerrit Rietveld and Martin Visser is shown next to furniture by contemporary designers such as Arjan Brekveld and Danny Fang. 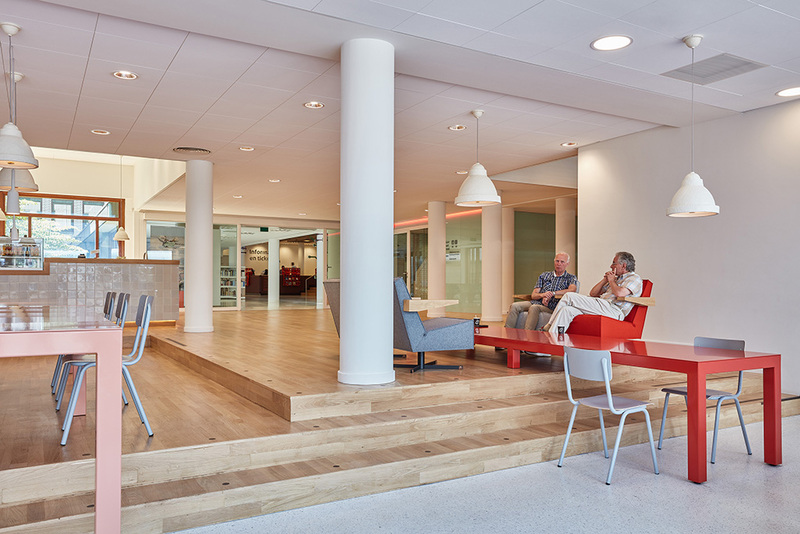 In the foyers on the first floor are work places and meeting points. 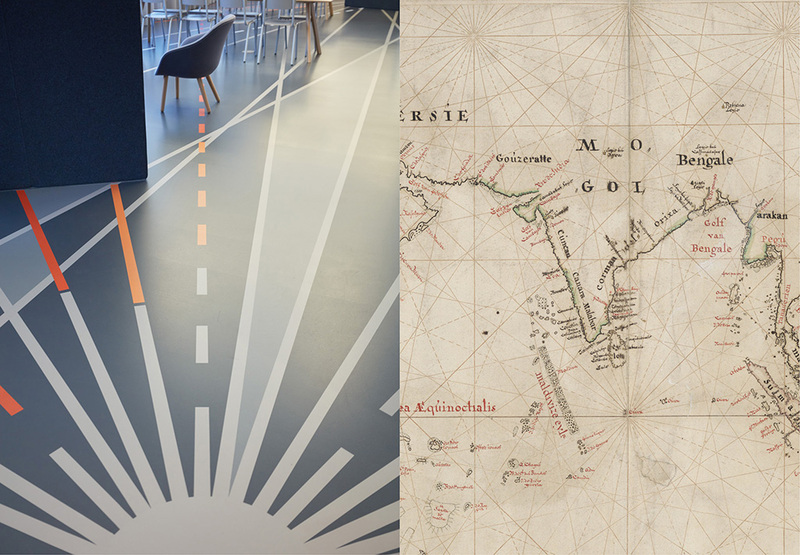 Inspired by the old ‘overzeilers’ (nautical charts * intended for plotting a route across the ocean and navigating according to that route), the floor shows a network of lines and connections. 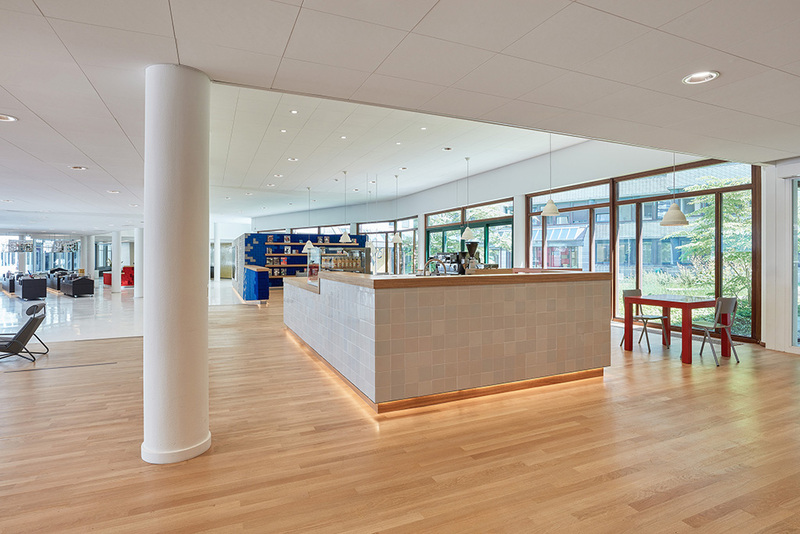 Historical materials such as Dutch oak and wool felt from sheep from the Groene Hart (the Green Heart)lend this new environment a character of its own.